If you want your podcast to succeed, it’s a smart idea to create a dedicated website for it. Fortunately, this is easy to do if you have the right tools. 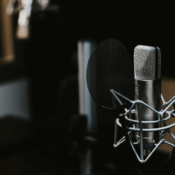 In this article, we’ll talk about why WordPress is the best choice for your podcasting website, and introduce some themes that will help you design your new site quickly!